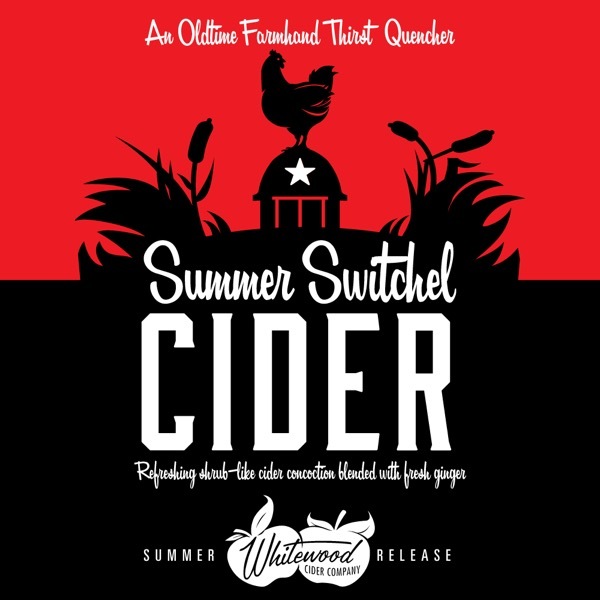 Summer Switchel Cider — Whitewood Cider Co.
Just this week we delivered our first kegs of Summer Switchel Cider. You will be able to find it first at Three Magnets Brewing Co., Schilling Cider House, The Eastside Club Tavern, and Gravity Beer Market. It's pouring right at Three Magnets, and Eastside is soon to follow today or tomorrow, the rest will add them to their rotations as they get to them but you certainly request it..
Our Summer Switchel Cider is made with a cider base fermented from 100% Gravenstein Apples. Akin to a cider shrub it is full flavored, crisp and refreshing, and sweet, sour, and a little spicy all at once, and finishes clean. Best of all at only 4.6% abv you can drink enough Switchel to cool down and beat the Summer heat. If you like Cider, Sour Beer, Radlers, Shrub or Shandys you are sure to enjoy Whitewood Cider Co.’s Summer Switchel Cider. A bit about Switchel: Switchel’s history in Colonial America is nearly as old as Cider. During the 1600’s it was a very popular thirst quenching summer drink. Switchel soon became the traditional drink to serve farmers during harvest earning the nickname Haymaker’s Punch. Most often Switchel was made using water, cider vinegar, ginger, and any number of regional sweetener ingredients, however recipes also existed that called for a base of good cider. Reviving those traditions Whitewood Cider is excited to offer you a delightfully refreshing, thirst quenching, new/old Summer favorite.